At a charity shop I found an old art magazine by The National Art Collections Fund, containing articles about Botticelli and the Pre-Raphaelites, among other interesting ones. Skimming through the pages, my attention was drawn to a picture: it was familiar but at the same time not really. It was familiar in that its object was known, but the painting itself was until now unknown to me. It’s a natural view of some English coast… but you may recognise a special element in it. Look at the following picture, aren’t those woolly creatures just beautiful? 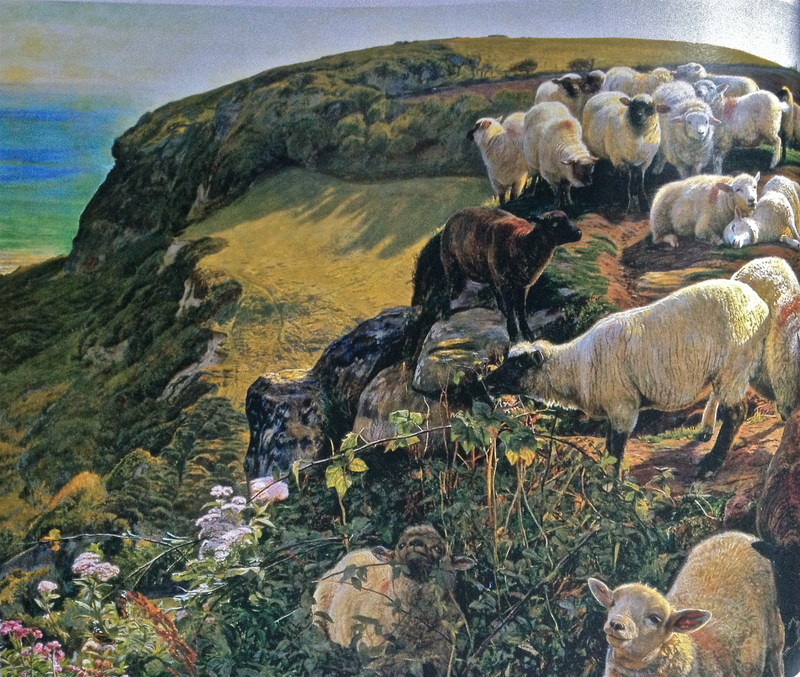 Digressing from the woolly theme, I’d like to briefly present another work associated with the Pre-Raphaelites. 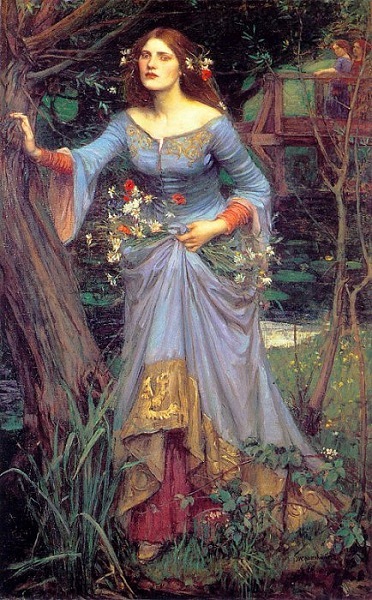 A later follower of their style, John William Waterhouse painted Ophelia in 1910, after some preparatory studies. I like those colours, the line and decorative elements of the dress, its beautiful corset and gown and the simple flowers. Ophelia and her tragic fate and unfortunate love was the object of many of his paintings.